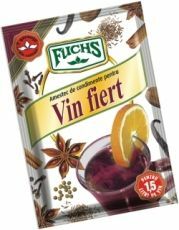 Mix of spices for mulled wine (Glühwein) and tea punch. A unique, wintry spice combination for the cold days to come. The traditional flavours of cinnamon pieces, cardamom, cloves, star aniseed and vanilla pieces, refined with the exceptional flavour of green bamboo leaves and golden orange peel will surely put you into the mood for Christmas. Whether enjoyed pure, or added to your favourite punch or mulled wine, our "starlet" adds the perfect flavour to your day! ingredients: cinnamon pieces, orange peel, cloves, China bamboo leaves (8 %), cardamon (whole), cardamom, vanilla pieces, Important notice: always brew with boiling water and let infuse for at least 5-10 minutes! This way, you will receive a safe food!